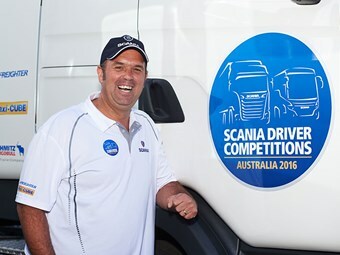 Owner-driver Glenn ‘Yogi’ Kendall has been crowned the Scania Truck Driver Champion after besting 11 other opponents in the bi-annual test of knowledge and skill. Representing his business Kendall Trucking & Co, Kendall’s win at the fifth edition of the Australian competition left him ecstatic. "It’s amazing, unbelievable," he says. "I felt I got one of the first tests wrong, so I had to stop and take stock and then focus on every element of the manoeuvring. I had to give everything 110 per cent." 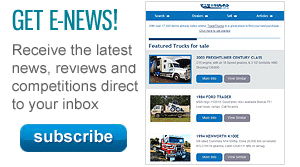 If that name seems familiar, you might have read it as part of our Alexandra Truck Show coverage. Yogi was one of the goers who we were lucky enough to speak to. If you missed it, we have run it again at the bottom. The 12-person competition, including a female contestant for the first time, tasked drivers to complete 10 manoeuvring activities behind the wheel of a Scania G 480 prime mover pulling a Freighter curtainsider, undertake a dog-leg reversing test in a G 480 B-double and a drive of Melbourne’s traffic-infested roads in a G 480 pulling a Schmitz Cargobull pantech. Out of the truck and into the classroom, the finalists were faced with 30 road rule questions and a simulated media interview to understand their views on the industry and how to improve it. Scania Australia brand and communications manager Ron Szulc says the tests were aimed at gauging just how skilled the modern drivers are. "This unique competition puts the spotlight on safe, skilful and efficient driving, underscoring the high levels of professionalism among today’s drivers," Szulc says. "Day-to-day, Australia’s truck drivers are largely unappreciated for the hard work they do against tough deadlines and often in uncomfortable conditions. "By putting these finalists to the test we expose their high levels of ability, but also importantly give them a chance to meet with other like-minded, passionate and committed drivers who can impact the industry with their professionalism, courtesy and leadership. "As a company, we put a lot of effort into supporting drivers and enhancing their standing within their communities locally and globally via the Scania Driver Competitions. "We congratulate not only the winners but all the finalists for their efforts today and everyday." 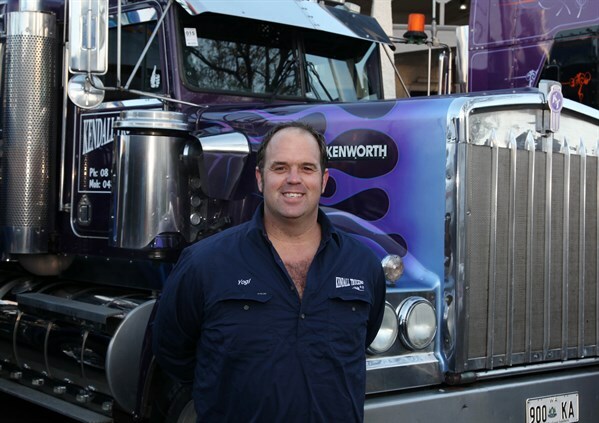 Based in Katanning, Western Australia, Kendall is not a Scania driver; rather he spends his time behind the wheel of a bonneted Kenworth making for a sharp learning curve at the competition. "The switch to a state-of-the art (cab-over) Scania was one of the biggest things to get to grips with during the tests," he says. "This event is good to meet other like-minded passionate people who want to push themselves forward in this industry. You have got to be in to win it." As captured by The Discovery Channel’s Outback Truckers television show, in daily life he runs a single trailer designed for oversize applications, providing for a variety of customers. "I’ll cart anything," he says. "If I can get it on the back of my truck, I will cart it. From a $600,000 combine harvester to a vintage bike frame." As for Scania’s message on the manner in which the industry is viewed, Kendall has a strong opinion. "The general public’s perception of trucking is they see lumps of metal going down the road," he says. "They don’t see that the ‘someone’ behind that lump of metal is a real life person that deals with real life situations and has a life outside of trucks. "We need more education and a massive revamp in the transport industry to bring a better level of understanding (of what we do) and then be able to attract better level of driver to the industry." By Peter and Di Schlenk. Glen Kendall, better known as ‘Yogi’ can lay claim to travelling the longest distance to attend the show. Glen found himself in Melbourne for the Queen’s Birthday long weekend after a trip across from Western Australia and knew that there was only one place to be – the Alexandra Truck Ute and Rod Show. "It’s been 16 years since I was here," Yogi explains. "I used to live in Wangaratta but have lived in WA for 12 years." Yogi grew up in the Gippsland region and drove interstate out of Wangaratta. 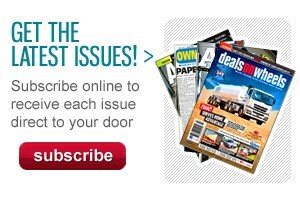 He has clocked up 20 years on the road, the past three or so as an owner-driver. The transition to owner-driver has had its ups and down. He says it’s an interesting gig but a tough one. "As an owner-driver it’s a different kind of pressure," Yogi says. "The home time I think is better but in the back of your mind you know if those wheels aren’t turning, you’re not making any money. "It’s a love-hate relationship but I’m rapt in being part of the industry." Yogi did a couple of years on the Outback Truckers series and found it was great exposure, especially for farmers who like to see their product on the back of a truck and on television. When Yogi was approached to do the series he had not long started is own business. It was a good way to get his name out there. "It’s an excellent show to be involved in," he says. "They are not invasive, they do a good job. What they want and what happens are two different things but at the end of the day things do go wrong. "Not every day mind you, but that’s the nature of the trucking beast," he smiles. Yogi says his business is a 100 per cent family operation, with his wife often working as his pilot. Even the couple’s kids, 10-year-old Lucinda and Jack, 7, are involved. "We do oversize loads in the west," he says. "But it’s great to be back here. What a great day!"